This is to declare that the Steamed Banana without Skin is prepared by the following procedure. 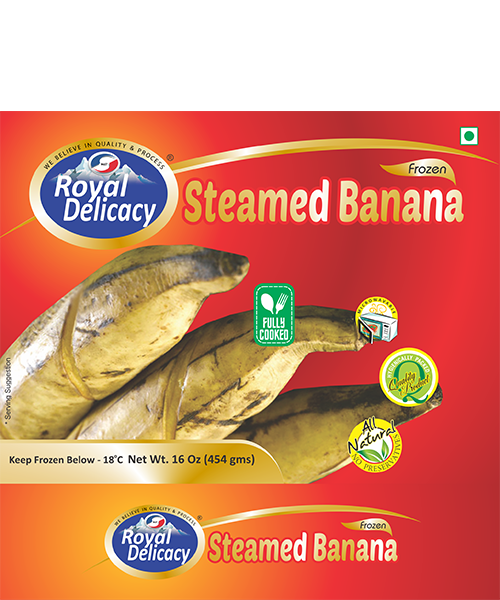 Sort out the Ripe bananas and trimmed both ends and clean with the help of fresh running water and Steam the banana in a steamer, Then pre-cool the product before blast freeze at -32 °C and pack and stored at – 18 °C. The procedure is carried out so as to assure that the product is free from any type of contamination.